Project URSULA (UAS Remote Sensing for Use in Land Applications) was launched by Welsh Assembly Minister for Rural Affairs, Elin Jones. 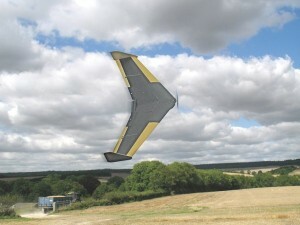 The 2 year research and development programme will explore the potential for advanced remote sensing, using small unmanned aircraft, for use in land applications, primarily high input arable farming. The project is supported by the Welsh Assembly Government. URSULA will develop market-focussed data products based on imagery captured by a range of sensors mounted in small unmanned aircraft with a launch anywhere, anytime capability. Combining the innovative remote sensing platform with novel processing techniques, URSULA provides a disruptive technology which will open up new avenues for flexible, cost-effective, high resolution data provision. It is anticipated that this will accelerate the adoption of precision farming principles at a critical time for the industry. There is a growing need for timely, accurate, detailed information on our land as we place greater pressure upon it. A rising population coupled with changes in demand and increasing scarcity of critical resources such as water and energy will place ever-increasing pressure on the land to perform multiple functions. Our food system needs to be sustainable – and economically viable – whilst adapting to climate change and contributing to climate change mitigation. Our engagement with stakeholders and end users ensures agriculturally led data interpretation and individual farm-level knowledge makes the most of the remote sensing data. GRAND FORKS, N.D. — When David Dvorak launched Field of View in 2010, he foresaw a bright future for aerial crop imagery. Today, after working with farmers, agronomists and even a South American plantation manager, he’s more optimistic than ever. “A few years ago, there was some behind-the-scenes interest in this,” says Dvorak, CEO of Grand Forks, N.D.-based Field of View. Now, “I’m quietly confident there’s this perfect storm brewing where the precision agriculture market really takes off and the civil UAS (unmanned aircraft system) market takes off. They’re both on a trajectory to make that happen about the same time,” he says. 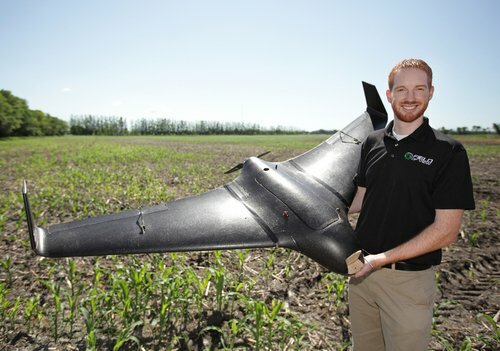 Field of View’s mission is to “bridge the gap between unmanned aircraft and precision agriculture,” according to the company’s website. Its flagship product, GeoSnap, is an add-on device for multispectral cameras mounted on either manned or unmanned aircraft. Such cameras capture images in the red, green and near-infared bands, allowing users to visualize plant stress better than they can with most other camera systems, Dvorak says. GeoSnap takes images captured by the multispectral camera and maps them with real-world coordinates, a process known as georeferencing. That allows users to know the aerial images’ exact location on the ground. “It’s a very complex process. We developed a product that hopefully makes the process easier,” Dvorak says. GeoSnap costs about $5,000 per unit, with the multispectral cameras costing about $4,000 each. Field of View only recently began selling the add-on devices. So far, the company has sold a half-dozen, including one to NASA. Dvorak thinks NASA will use the GeoSnap to learn more about vegetative cover on Earth, though he isn’t sure of specifics. GeoSnap generally has drawn more interest overseas because other countries have fewer restrictions on air space, he says.